USA 1982. Koyaanisqatsi. 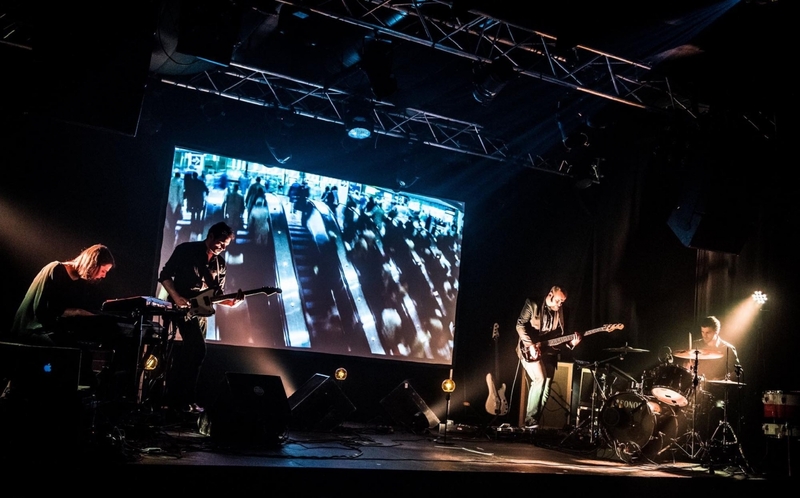 Or the ambitious meeting between a legendary American movie and the intense, powerful as well as touching and fragile music of Brussels-based post-rock quartet We Stood Like Kings, inspired by the likes of Pink Floyd, Chopin and Mogwai. With their previous releases BERLIN 1927 (Symphony of a Great City – Walter Ruttmann) and USSR 1926 (A Sixth Part of the World – Dziga Vertov) and after more than 180 concerts in 15 countries, the four young musicians have now become a reference in their field on the European scene. They will present their latest soundtrack USA 1982, a mind-blowing experience that appeals to all your senses.